Buying vs. Renting – What’s better? What’s the best bang for your hard earned bucks? Buying or renting? If your rent is low enough, renting could be a better investment than buying a house. You could invest monthly savings in long-term certificates or other savings vehicles. If you are thinking of purchasing a new home, meet with one of our Mortgage Specialists. 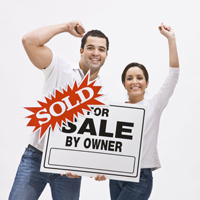 They’ll help you get an idea of how much home you can realistically afford and the types of financing available. It’s also a smart idea to get pre-qualified for a mortgage before you start your home search. Call us at (800) 283-2328, ext. 6026 from 8:30 a.m. to 5 p.m., Monday through Friday. For more tips on buying vs. renting, click here.